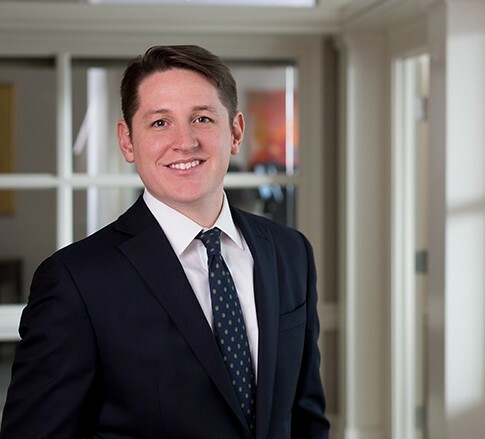 Patrick F. Estill is an Associate in the Construction and Equine industry groups, focusing primarily on construction law, public-private partnerships, and commercial litigation. He practices out of the Firm’s office in Lexington, Kentucky. As an associate, Patrick has gained a wide range of experience and is growing a strong, multidisciplinary practice. His career at Jackson Kelly has allowed him to explore many facets of the law. He uses this experience to better serve clients’ interests and solve legal problems in the most efficient way possible. Patrick particularly enjoys drawing on his litigation experience to draft better contracts and guard against risk for corporate and construction clients. He also enjoys learning the ins and outs of a client’s business so that he can deliver valued advice that truly reflects and furthers his clients’ goals. Patrick lives in Lexington with his wife, son, and their two dogs. He enjoys traveling, cooking, music, playing and watching basketball and soccer, and spending time with his family.